Spain is the biggest wine producer in the world, but its people aren't drinking it. F&W executive wine editor Ray Isle knows how to help. Take that, Italy and France. With the 2013 vintage, Spain stomped on its grape-growing European counterparts to become the biggest wine producer in the world. According to the Spanish government, Spain produced roughly 6.7 billion bottles of wine last year—more than a bottle apiece for every single person on the planet, at least if you subtract kids. Here’s the hitch: Spain, despite making all this wine, isn’t drinking it. According to the secretary general of the Spanish Wine Federation, Spain has the lowest per capita wine consumption in Europe, except for Norway. (What the Norwegians are doing, who knows, but one thing they aren’t doing is sucking down tanker loads of wine.) This means, in order to prevent a civilization-threatening worldwide glut of Spanish vino, we all need to start drinking as much Spanish wine as possible, immediately. To aid you in this noble and humanitarian goal, here are some great Spanish bottles to seek out. I suggest buying them by the case. Otherwise, lord knows what disasters might occur. 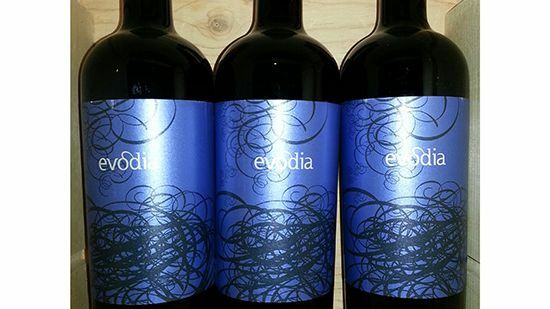 2012 Evodia Old Vines Garnacha ($10) High altitude, old vines Grenache, from Spain’s Calatayud region—think ripe black cherries with a light spicy note—for a strikingly low price. A hard-to-argue-with bargain. 2012 Telmo Rodriguez Gaba do Xil ($12) Godello, a crisp, peachy white variety from Spain’s Galicia region, isn’t well known in the US yet, but it certainly ought to be. Rodriguez’s version is a great introduction. 2012 Artazuri Garnacha ($12) Rioja’s Artadi makes extraordinary, high-end reds, the most famous of which runs $300 a bottle. However, owner Juan Carlos Lopez de Lacalle also make this peppery, berry-scented Garnacha from Navarra, just north of Rioja, and it's a complete steal. 2009 Bodegas Franco Espanolas Royal Rioja Crianza ($15) This well-priced Rioja crianza—Rioja being the place, and "crianza" being a term referring to how long the wine's aged (one year in barrel, and at least one year in bottle)—offers crisp red cherry fruit and an appealing touch of earthiness. 2012 Licía Albarino ($16) Classic Albariño grapefruit flavors lie at the core of this minerally Galician white. It would be ideal with any sort of seafood, but particularly raw oysters.